In some real sense, computers are like brains. They take information in, process it in some way, and try to make sense of it. A key difference is that, with computers, we can explicitly lay out all of the rules for processing that information. For brains, the rules are already there, we can just try to figure out what they are. The central thesis of Brian Christian and Tom Griffiths’ book Algorithms to Live By: What Computers Can Teach Us About Solving Human Problems is that, by looking at how computers can be programmed to solve problems and what kinds of problems are easy and hard, we can learn something about how brains do the same. 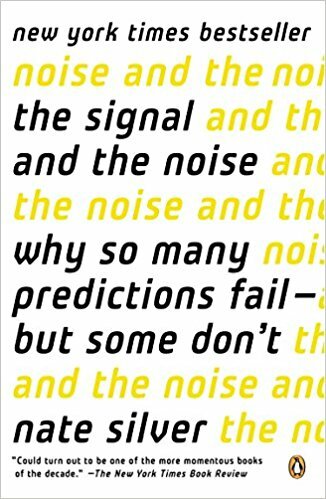 Christian and Griffiths go systematically through a series of problem types that are central to computer science and applied math and describe how the insights into those problems give us insight into how brains handle information. One of their first examples relates to decision making. Say you have a choice you need to make from a pool of options — who to get married to, what house to buy, which secretary to hire. The basic conundrum is this: you want to make sure you get enough data to make an intelligent choice — you want to know that your choice is really a good one by comparing it to the other options — but the more information you gather, the longer you wait, the more likely the best one has already come and gone. So, you need to wait for some time to judge the quality of the pool and each candidate relative to the pool, but you can’t wait too long or you miss the best one. Under some assumptions, applied math has solved versions of this problem, a class of problems called “optimal stopping” problems. It turns out that, under certain conditions, the optimal stopping point is 37%. That is, you should use the first 37% of your options to help you build your knowledge base about the pool, and not choose any of them. But, you should choose the very first person after that 37% that is better than any of those in the first 37%. This maximizes your chances of choosing the very best person. You aren’t guaranteed to get the very best with this algorithm, but you have the best chance of getting the best. Exploring versus Exploiting. Related to optimal stopping, this is the problem of relying on something you already know well versus trying out something new, such as a restaurant. Sorting. If you have a large amount of information, how is it best to sort through it all. Caching. Again, if you have a lot of information, how do you deal with it in the first place? How do you get the information you need now when you can’t have all of the information at your fingertips? Scheduling. If you have a full to-do list, how do you optimize the best way of getting through your list? Do you want to keep the list as short as possible? Do you want to minimize how long others have to wait for you? Bayes’s Rule. How do you use what you know now to make estimates about what will happen next? Overfitting. What are the dangers of overthinking a problem? Relaxation. Given a hard problem, how do you even begin to solve it? How do you find the best answer? Randomness. When you have a huge problem, with a lot of data, so much that you can’t look at all of it, how do you figure out what it says? Think of polling. Networking. In a large, interconnected world, how do you share information with everyone else? Game Theory. How do we make choices when our choices involve other people and their choices? All of these topics not only have direct relevance to how we program computers to work for us, to solve hard problems that computers are better at, but also give insight into how we can organize our own thinking and data processing. With the internet, 24-hour cable news, and ever-increasing media presence, the amount of information we are bombarded with continues to grow. Our lives become busier as we juggle work, our child’s soccer schedule, the maintenance we have to do on our house, our social lives. A lot of what we do is process information and try to make some sense out of it. While computer algorithms often don’t provide silver bullets — in fact, some problems are simply not solvable, at least not in a finite amount of time — they provide some insight into how to think about certain types of problems. 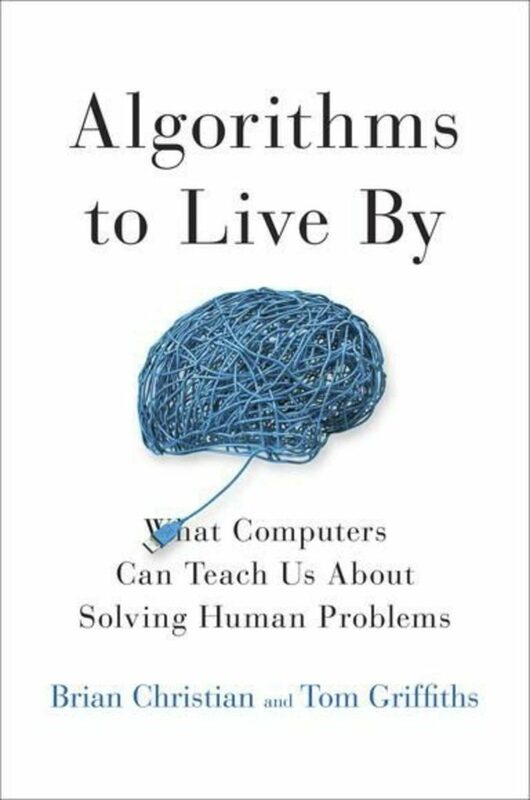 Algorithms to Live By provides a nice introduction into some of the problems of computer science in a way that is easily approachable. And, if the problems Christian and Griffiths describe might offer some insight into how our own brains work, at the same time, by making that connection between computers and us, they make the problems of computer science more relatable. That is, they provide an accessible pathway to learning about computer science and how we solve some of the biggest problems in computer science. Given the ubiquity of computers in our lives, it certainly doesn’t hurt to know more about how those machines work. 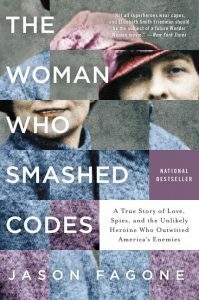 The story of her and her husband, a leading code breaker in his own right, is fascinating, not only for the development of code-breaking as a science and their contributions to more than one war, but also because of the odd and eccentric characters that populate Elizebeth’s life. Her husband, William, was perpetually on the edge of a nervous breakdown, in part due to the extremely long hours both Friedmans put in service to the US government. Maybe most fascinating of all was Elizebeth’s first patron, George Fabyan, who created a compound outside of Chicago — the Riverbank Laboratories — which was a private laboratory researching a multitude of topics, some scientifically sound and others very much of the crack-pot variety. It was at Riverbank that Elizebeth first encounter cryptography and her future husband William. Riverbank was full of would-be scientists, studying a range of topics from hidden messages in Shakespeare’s plays to acoustics, for which it still exists. The compound raised all its own animals and grew much of its own crops for food. During World War I, there was a dearth of people who understood encryption, much less could decipher the messages of the enemy. William and Elizebeth demonstrated their abilities and developed a true scientific approach to the problem. Both Friedmans had an uncanny knack of seeing patterns in data, at a time when computers weren’t available to help with the task. But, at the same time, one had to discern real patterns and not ones made up by their own brain. As Fagone writes, “Humans are so good at seeing patterns that we are often able to see patterns even when they aren’t really there” and “One way of thinking about science is that it’s a check against the natural human tendency to see patterns that might not be there.” Seeing and identifying real patterns was the first criterion for breaking a code. During the time the Friedmans were developing the science of cryptography and creating the profession of the cryptanalyst (“a person who analyzes and reads secret communications without the knowledge of the system used”), the world was changing at an incredible pace. Radio communications meant that agents could speak to each other across the globe, without the need to exchange paper. The atom bomb was being developed. Politics were changing too. J. Edgar Hoover was accumulating power in the FBI and was at odds with the military in the use of cryptography. What do you do when you break a code? As was highlighted in the movie The Imitation Game about the life of another famous cryptanalyst, Alan Turing, if you act on the intelligence from the broken code, you reveal the fact that the code is broken to the enemy, leading them to change the code and breaking that stream of intelligence. Her husband called this dilemma “cryptologic schizophrenia.” It is a no-win situation for the cryptanalyst, especially since human lives were often at stake. The FBI was chasing sensationalist news rather than maximizing the benefit to the nation of the broken codes. 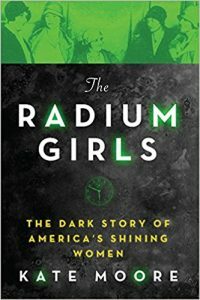 The story follows Elizebeth’s career from a scientist building the beginnings of a new scientific field to her work for the government, where she ultimately found a home with the US Navy, where she tracked Nazi spies in South America. She also worked for the US Treasury, intercepting the messages of crime lords working within the US. Throughout it all, Elizebeth simply did her work, serving her country, either not willing or even able to really tout her contributions and role in developing the field. 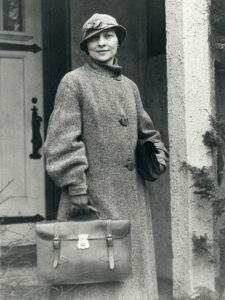 In fact, after the death of her husband, she dedicated much of her life organizing his records and documents, his legacy, at the detriment of her own. However, her work, along with that of her husband, led directly to the spy agencies we have now, such as the CIA and NSA. What they created, however, ultimately led them to become uncomfortable, as the reach of agencies such as the NSA extended far into every aspect of our lives. An interesting note that relates to our own times. In discussing the context of Germany in the lead-up to World War II, Fagone notes that “The international press covered him [Hitler] like a normal leader. Many Germans did not think he would really do the things he had said he would do.” Perhaps a caution for our own times. 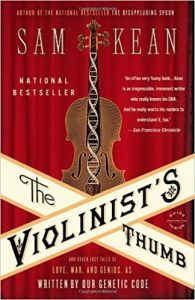 Fagone weaves an excellent story, filling these larger-than-life characters with personality and telling an exciting story involving spies, drug dealers, and the future of Western Civilization. Learning about hidden heroes such as Elizebeth Smith Friedman is always a pleasure, even more so when the story is well executed.